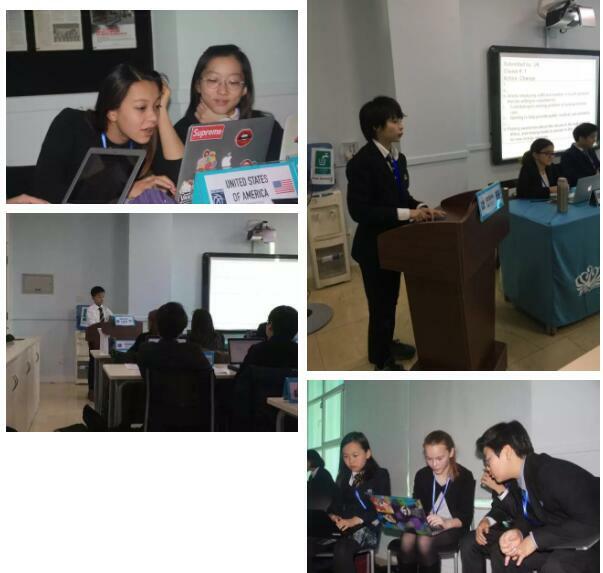 For the second year in a row, Daystar Academy has participated in BRITMUN, a junior Model United Nations (MUN) conference designated for students in grades six to ten. 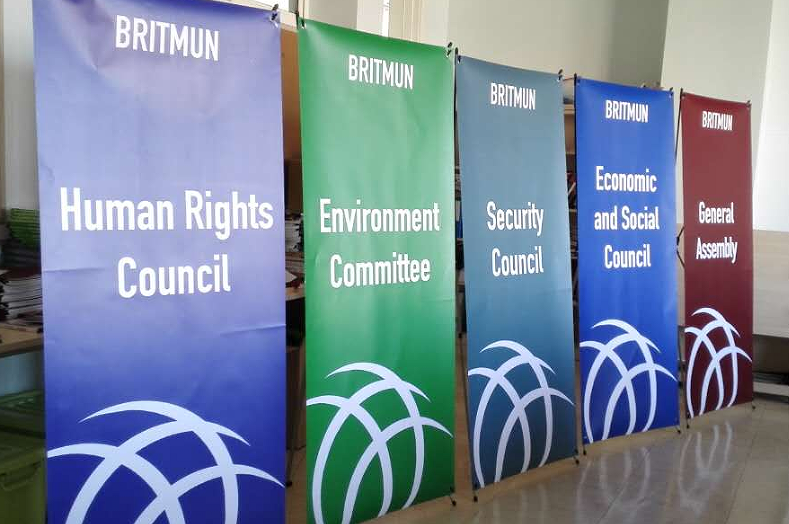 Hosted by the British School of Beijing, BRITMUN provides an opportunity for younger students to engage in MUN. Across the three days, delegates in the five committees (Economic and Social Committee, Human Rights Council, Environment Committee, General Assembly, and Security Council) debated on issues closely related to this theme. This year, our eight Daystar delegates shone bright at the conference. 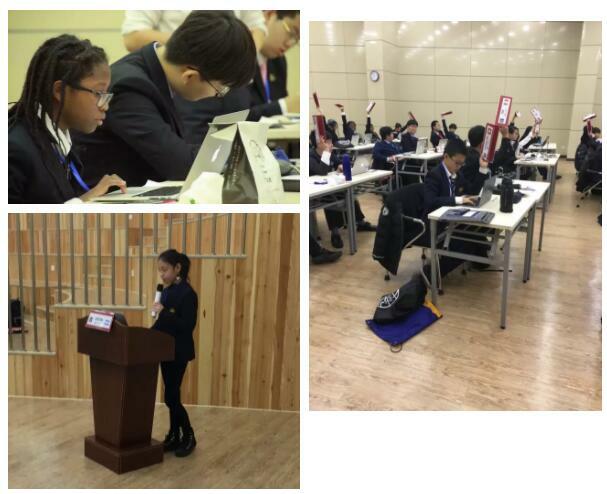 In the General Assembly, sixth grader Diane Asiedu discussed “Efforts to Regulate Cyber Warfare”. She was recognised as a top three delegate for raising the most Points of Interests or POIs...despite only being in 6th grade! In addition, she was the main submitter of a resolution that passed. Meanwhile another sixth grade student, Skye McNeil, gave an impassioned speech that was influential enough to get an amendment rejected with an overwhelming majority. Meanwhile, co-member of the General Assembly sixth grader Badi He finally had a chance to address the assembly after raising his placard at least five times. Seventh grader Ian Hu was the only Daystar student in the Human Rights Council. But that didn’t deter his enthusiasm, and he says he very much enjoyed meeting and working with fellow “delegates”/students from other schools. In the Economic and Social Council, both seventh grader Elijah Kahn, and eighth grader Naomi Bodeen were main submitters. Their topic was “Addressing the Peaceful Socioeconomic Recovery in Sub-Saharan Africa.” Both got their resolutions passed with an overwhelming majority. Seventh grader Jonathan Chen and eighth grader Nanda Gremo were also a part of the Economic and Social Council. Nanda was named “Best Dressed Delegate” in the group, whileElijah received a special mention for improvement. Naomi was named “Most Diplomatic”, “Most likely to become Secretary-General”, and “BEST DELEGATE” in her Council! After months of preparation, the students are all very excited with the results! Daystar’s MUN Club is part of our DRAGON (after school) program. 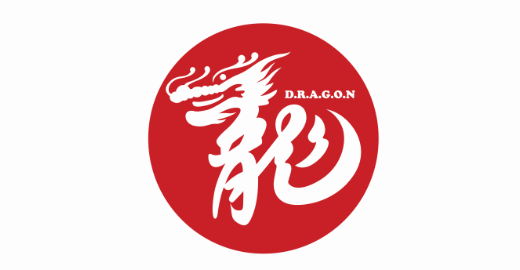 At Daystar, our goal for the DRAGON program is more than just providing an after school activity for our students. Rather, it’s a wonderful opportunity for our students to explore and develop their passions in a meaningful way. 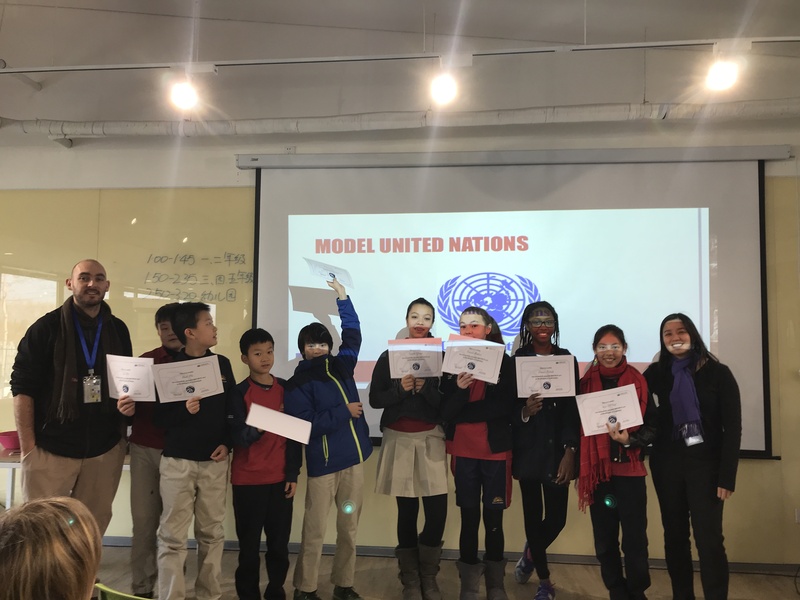 At Daystar’s MUN Club, students have a chance to develop their public speaking skills, collaborate with students from other schools, and be socially aware about world issues. The MUN club is taught by two dedicated Middle School teachers Bonnie Lui and Nick Grasso, and the results speak for themselves. Our thanks and warmest congratulations to everyone involved!